What is a mud pie? It’s an ageless art form that’s made of two basic elements, water and earth, topped with natural treasures found outside like flowers, nuts or berries. Where do you start? 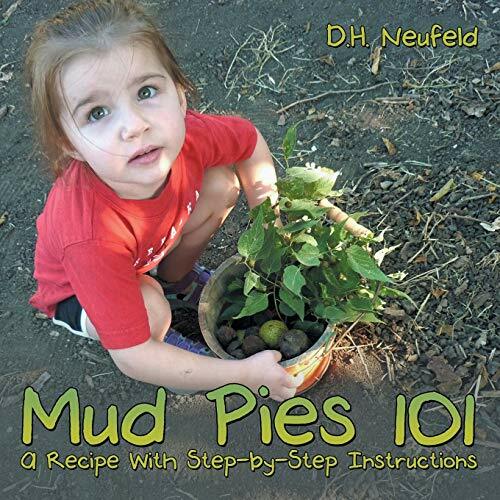 Here is a recipe, with stepbystep instructions, on how to make a variety of mud pies. It’s best to do it outside, with complete abandon, leaving your electronic devices inside. As you gradually become aware of the bird song in the background, you will realize that this is where you belong: in the world outside your walls. It is quite possible to make mud pies alone, but so much better to do it together. Take the mud pie challenge! Mix up some mud with someone you love and see what you can create! “Sharing good books with children creates a bond that nurtures imagination, inspires creativity, and feeds the soul,” says D.H. Neufeld. Her job as a school librarian afforded her that privilege for the first part of her career. Later, that job morphed into helping teachers and students with full time IT support. She bears witness to the tension between the potential and the problems of emerging technology. She and her husband live in a spacious farm house under the billowing clouds of the Nebraska prairie, with a garden that’s perfect for making mud pies.